A stunning green lagoon close to Costa Rica's first capital! 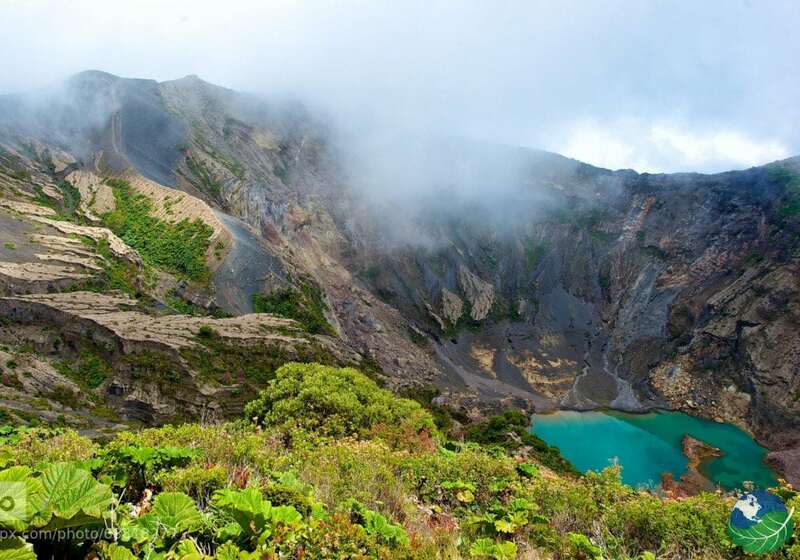 The Irazu Volcano National Park is one of the easiest volcanoes to reach in Costa Rica. It is located at only 30 kilometers from Cartago and 50 kilometers from San Jose. 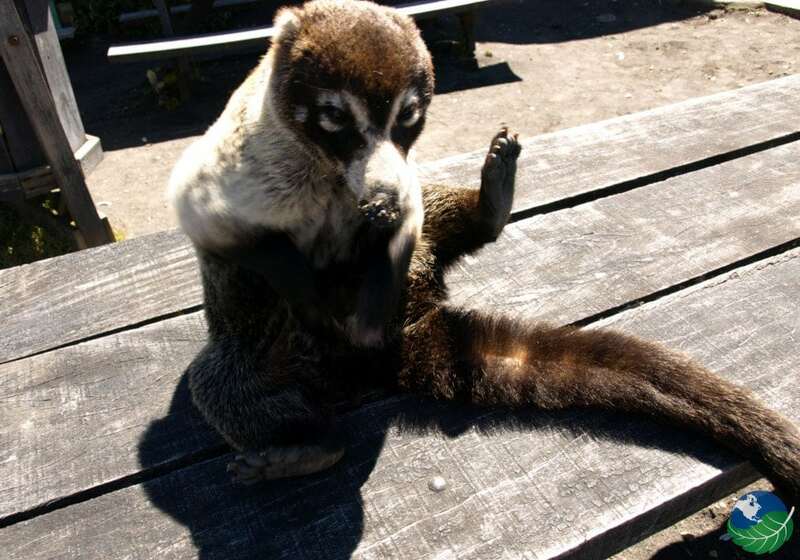 The name Irazu is derived from indigenous word meaning thunder” or “place that shakes”. It certainly has been doing that in the past! 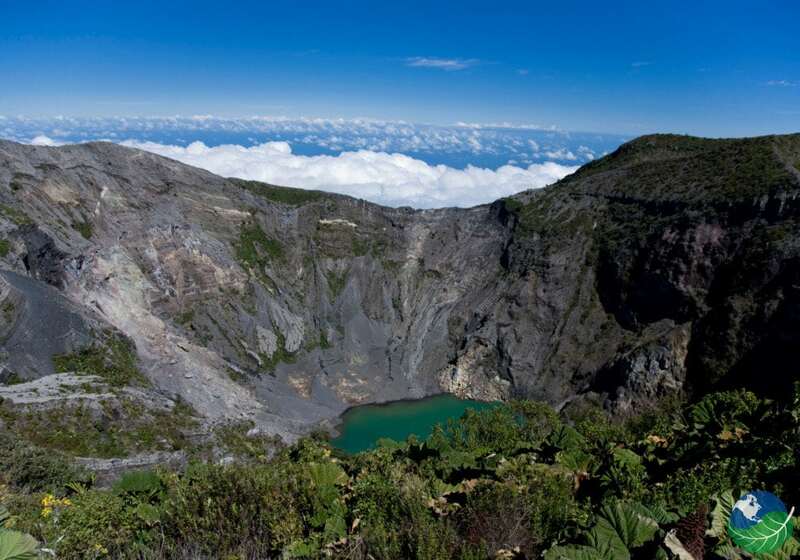 Irazu is known by Costa Ricans as “Colossus” because of its 23 recorded eruptions since 1723. By visiting Irazu, you can combine an exciting hike with an immersion into some of Costa Rica’s most fascinating history. You can visit the volcano in the morning and explore Cartago, Costa Rica’s first capital, in the afternoon. As an added bonus, the drive between San Jose and Irazu will offer you some stunning roadside scenery. Sounds like a perfect trip! 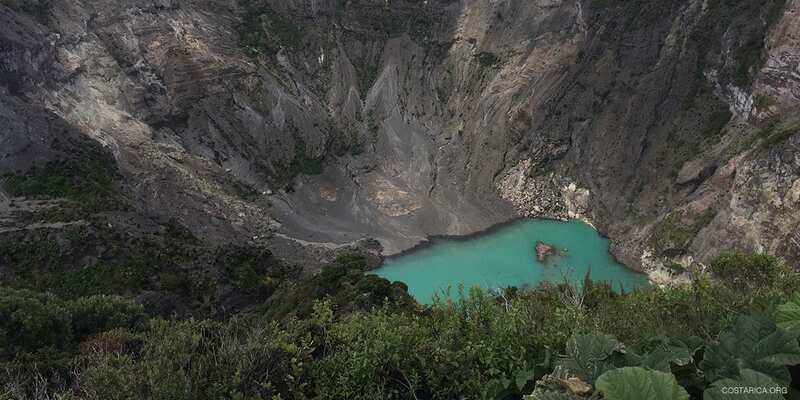 The park’s main attraction is the gorgeous, green Diego de la Hoya crater, named after the man who registered the volcano’s first eruption in 1723. There have been 23 recorded eruptions since this date, the last one being in 1994. One of them even coincided with a rather prominent historical event. In 1963, Irazu broke 20 years of silence on the same day United States President John F. Kennedy visited. At the summit, you can take a 1k walk to view the 4 surrounding craters. 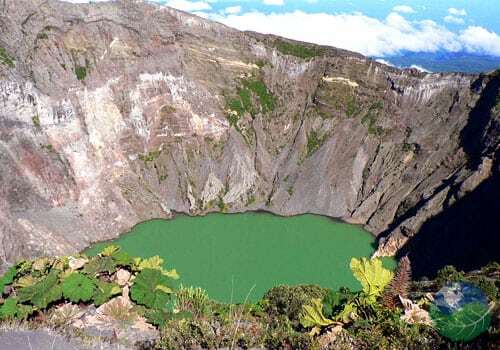 The Diego de la Hoya crater is the main reason for people to visit since the volcanic activity has made the area inhospitable for a lot of animal species. At the top, you will be rewarded with the sight of Costa Rica’s largest and highest active volcano at 3432 sitting on a 500 square kilometer base. 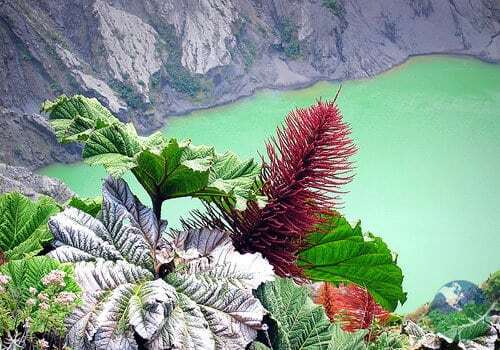 When visiting the Irazu volcano, you can’t pass down a chance to explore the former capital of Costa Rica. Cartago has been modernized quite a bit, mainly due to the natural disasters striking the town, but you can still feel its historical value. One of the must-sees is the Basilica of Our Lady of the Angles, a stunning basilica combing colonial and neo-byzantine influences and the site of the Costa Rica Pilgrimage. The Lankester Botanical Gardens can teach you all about Costa Rica’s beautiful national flower, the Guaria Morada. And for a little bit of extra history, visit Las Ruinas de la Parroquia, one of the earthquake’s repeated victims. Visit between December and May: This is Costa Rica’s dry season and the best time for those wanting to get the best views. 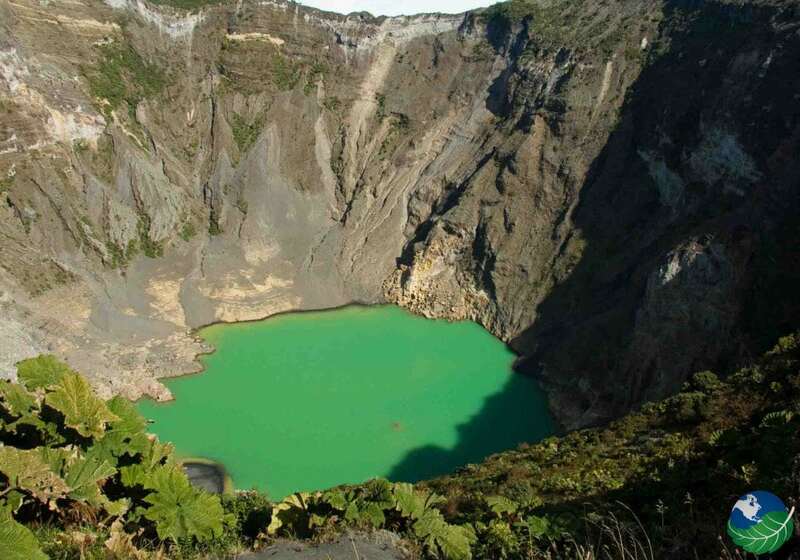 Combine nature and history: After the exciting visit to the craters, pay a visit to the city of Cartago. Dress warmly: Irazu’s high altitude comes with some pretty cold weather! Make sure you dress for the occasion and bring a jacket along with long trousers and some good shoes. Visit early in the morning: This will give you a better chance of avoiding the crowds that generally start gathering when noon approaches. Bring snacks and drinks: if you forget this, don’t worry. There is a small shop and cafeteria just outside of the park where you can purchase drinks and snacks. Irazu is very easily accessible from San Jose. Located at 50 kilometers from the capital, it will take you just over an hour to get there. If you leave from Cartago, Irazu is only 30 kilometers away. You can take advantage of shared or private shuttles or you can rent a car. Driving in Costa Rica has been made a lot easier by the fact that Costa Rica has been rebuilding a lot of its roads. This makes it a lot more convenient to reach your destinations. For some local dining in Cartago with a dash of class, head to Restaurante 1910. Make sure to try the Casado, a traditional Costa Rican dish, consisting of rice, beans, plantains, salad, a tortilla, and an optional choice of meat. If you can’t decide what to have for breakfast, try Gallo Pinto! Hotel Quelitales will offer you the best of both worlds. It is located close to the city of Cartago, but is surrounded by nature offering peace and tranquility. If you love birds, you will enjoy relaxing on the balcony and trying to spot Tanagersm Herons and many others. Hotel Quelitales blends elegance with a modern touch and offers spectacular mountain views. A perfect getaway! Irazu is located at a modest 50 km from San Jose and 30 km from Cartago.